The Bega 77276/77277 bollard light LED has a sculpture-like appearance. 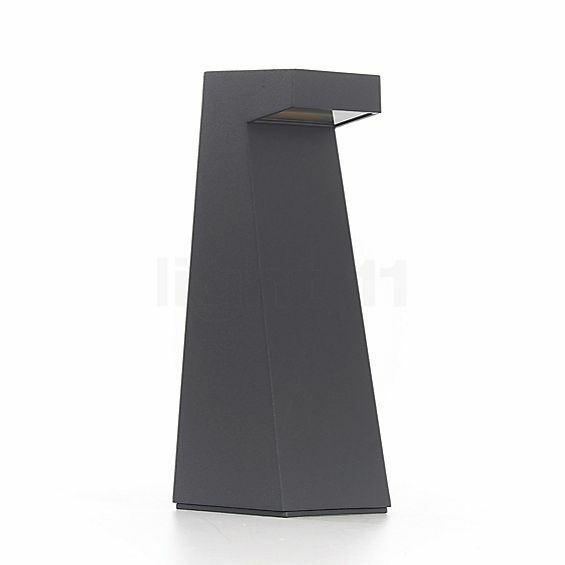 Kept in an elegant silver or graphite colour, the outdoor light stands out for its purist design language. 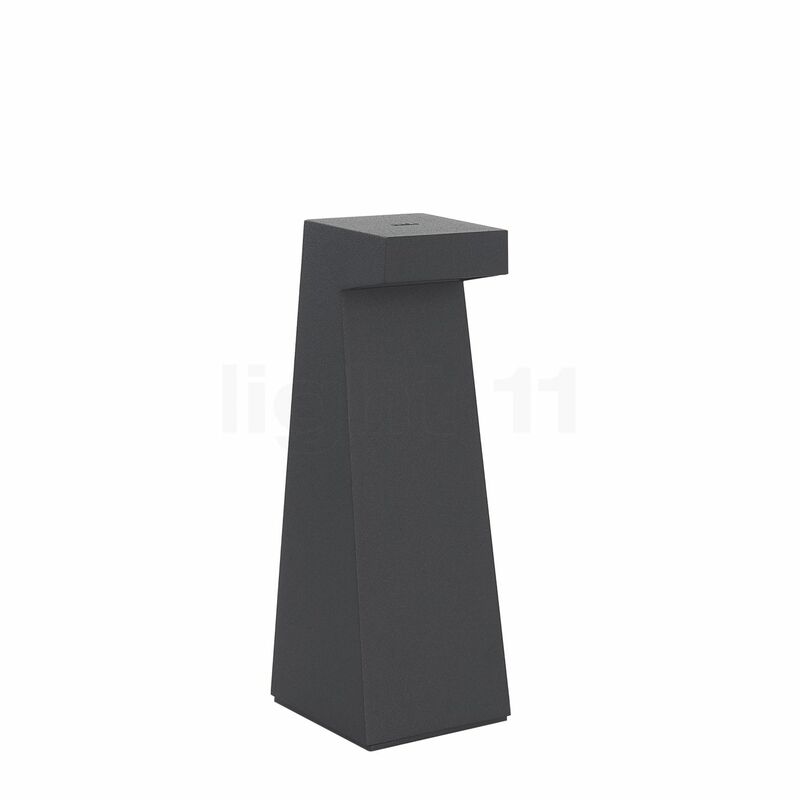 Moreover, the 77276/77277 bollard light is made of high-quality materials such as aluminium, cast aluminium and steel. The light emitted passes a specially textured safety glass. The bollard is available with an anchorage unit made of hot-dip galvanised steel or with a screw-on base for mounting on foundations. A clear, angular design is the hallmark of this bollard light. In front of the efficient LED module, a textured safety-glass controls the prevents the light emitted from glaring. The Bega 77276/77277 bollard light LED supplies glare-free, warm-white light in a downwards direction. Due to the bollard being relatively small, the light emitted barely loses intensity before reaching the ground. The 77276/77277 bollard light is equipped with modern LEDs, which only consume 6.3 watts to generate a luminous flux of 670 lumens. For comparison: a 60 watts incandescent lamp emits about 710 lumens. With a classification of IP65, this light made in Germany is protected against damage through dust and water jets. The version with a mounting plate is recommended for mounting the outdoor light to a foundation. The version with an anchorage unit allows you to insert the bollard into the ground. Tell other customers and us about your experiences with the 77276/77277 - Bollard light LED ! The Bega 77276/77277 bollard light LED is well-suited for many different purposes in the outdoor area. There, it helps you with orienting yourself in the dark and reveals potential tripping hazards. Installed next to a house entrance, the bollard ensures a safe entering and leaving. Furthermore, the 77276/77277 bollard light LED also spoils a terrace with its pleasant outdoor lighting. Last but not least, this subtle yet elegant light may also enrich a garden by highlighting particular areas.